Earlier this week, I argued over at Gigaom that Apple’s ability to censor Apple News based on a user’s location brings highlights the fleeting nature of digital content. But censoring Apple News doesn’t only say something about owning digital media — it also says something about the concept of ownership as it relates to hardware products. First, a recap. Someone reported last week that he was unable to access Apple News once his iPhone connected to a wireless carrier in mainland China. The app wouldn’t load new stories, nor would it allow him to read the stories he had saved from when he used the service back in Hong Kong. Apple, in other words, is censoring its News application. People tend to get upset when something is taken from their devices, whether it’s Apple News censoring a free service or Amazon pulling “1984” from Kindles. These actions serve as reminders that regardless of what we think about digital media, be it an online article or an e-book, we don’t really “own” anything. It can all be taken away at a moment’s notice — and there’s nothing we can do about it. […] When companies demonstrate their willingness to pull those digital products, either because they’re afraid of losing access to their second-most valuable market or because the item shouldn’t have been listed in its marketplace to begin with, those fears rise to the forefront. Apple just reminded the world how fleeting digital content can be, especially when it’s distributed via third parties. This censorship also shows just how little control we have over our devices. Besides putting an iPhone into airplane mode, there’s little anyone can do to stop the device from blocking access to News once it receives a signal from a Chinese wireless carrier. If we can’t control the devices we carry around in our pockets, do we really own them? I don’t think so. 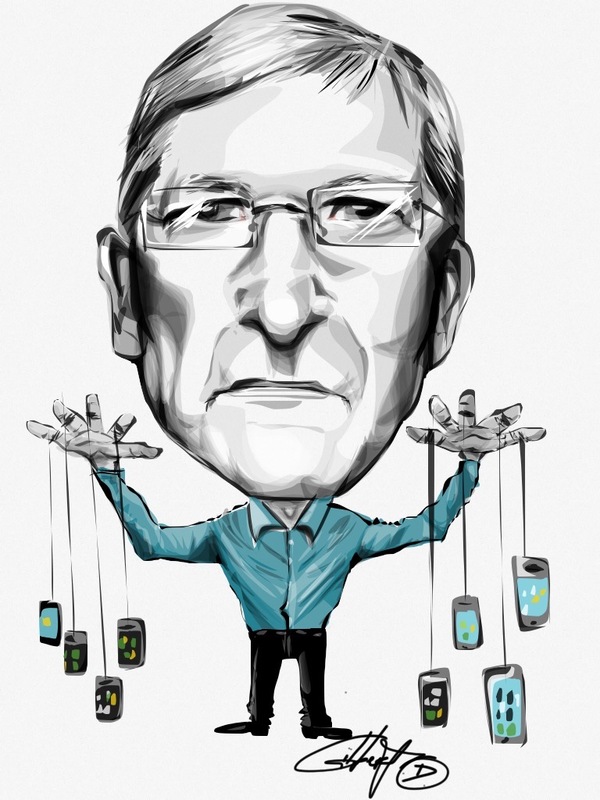 Apple can change things at a whim, and there’s nothing we can do about it. That doesn’t sound anything like the concept of ownership I was taught — it sounds more like we’re borrowing from the company with the understanding that it can change its mind at any time. So if we don’t own the digital content, and we don’t really own the devices used to access it, what are we left with? Nothing but holes in our wallets. And the sad thing is, we know this. We know that tech companies can pull items from their stores, or block access to some applications, when they want. Yet we continue to pay for these devices and the digital media to which they provide temporary access. You’ve gotta admit, that’s not a bad deal on Apple’s end. A while back I was struggling to decide how I should buy books: Through Amazon’s Kindle store, Apple’s iBookstore, or via brick-and-mortar retailers. I’ve flip-flopped on the issue: E-books are convenient, but comprehension is better with physical books. E-books can be read in the dark, but might affect my sleep. You get the picture. I still haven’t decided on this issue. (I’m notoriously indecisive, and will probably continue to waffle until the matter is taken out of my cold, dead hands.) But realizing just how fleeting this concept of ownership has become, as it related both to digital media and the devices I thought I owned, has weighed things in favor of physical books. At least with those I don’t have to worry about a company remotely censoring the content it thinks a government won’t want me to read.